London: Folio Society, 2012. 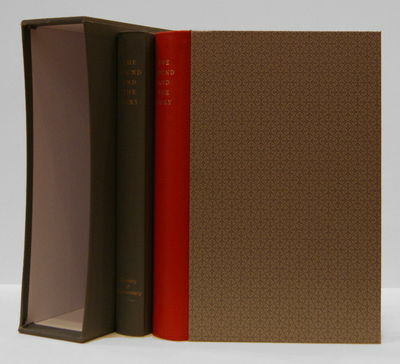 2 volume limited edition, as issued in publisher's slipcase. This is copy #333 of 1480. This was the first time Faulkner's classic novel was issued as he desired, with the text printed in several colors. The novel is issued in a beautiful red quarter leather binding, top edge gilt, the "Glossary & Commentary" volume in gray cloth. As new, stunning copy.. Limited Edition. Quarter Leather. Fine. 4to - over 9¾" - 12" tall. Collectible.